Provo • Stop us if you’ve heard this one before: BYU’s defense looks awfully vulnerable at the cornerback position. The caveat to that seemingly annual statement of preseason training camp is it didn’t have to be that way in 2018. And it still might not. Cornerback was supposed to be a strength of the defense after the 2017 season, because Dayan Ghanwoloku and Troy Warner, despite a Lisfranc foot injury, were two-year starters at the spot and easily two of the finest athletes on the team last year. But coaches made the decision in spring camp to move Ghanwoloku and Warner to safety, part of the effort to get their 11 best defensive players on the field. That meant they had faith in the young corners who just entered the program or played behind the two stars last year, right? “Absolutely,” said the man whose task is to basically start all over again, cornerbacks coach Jernaro Gilford. It’s nothing new for the former BYU defensive back who faced a similar situation when he joined the staff in 2016. Obviously, that would mean moving Warner, Ghanwoloku, or both, back to cornerback. The Cougars appear deep enough at safety for that to happen, with heady seniors Sawyer Powell and Gavin Fowler, former running back Austin Kafentzis and former cornerbacks Austin McChesney and Isaiah Armstrong backing up Warner, Ghanwoloku and Utah transfer Austin Lee, who is poised to start in the opener against Arizona on Sept. 1 if Warner’s health doesn’t allow it. Warner and Ghanwoloku both acknowledged they have still seen some reps at cornerback in preseason camp. Gilford said Wilcox, Shelton, former receiver Beau Tanner and redshirt freshman Keenan Ellis are “battling for playing time right now” and “are probably my top four guys” in the rotation. After those four are four freshmen — Malik Moore, Brach Davis, Isaiah Herron and D’Angelo Mandel, who redshirted last year when he was known as D’Angelo Gunter. The other corners in camp are walk-ons Koy Harris, Jared Kapisi and Mitchell Price. 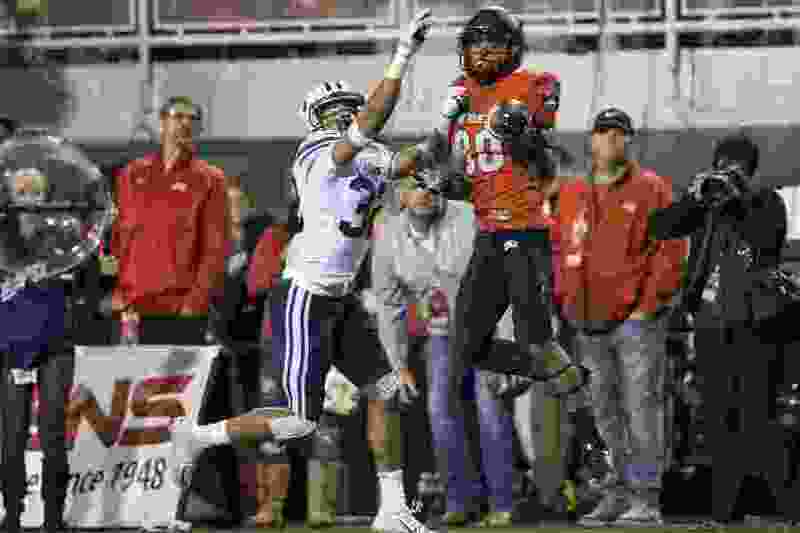 Shelton and Wilcox, who would likely be the starters if the season started today, said fears that BYU’s cornerbacks are in over their heads are unfounded.